We’re also including some popular Sunday school staples that involve simple motions like “Deep and Wide” and “Rolled Away.” Though in the latter, there’s the line “every burden of my heart” and Hannah thinks this is about birds in her heart. She has a little music time at preschool where they march around the room and play little instruments. At home, she’ll walk around saying, “March, march, march.” Maybe Uncle Michael can work on her form at Thanksgiving. Hannah also loves to dance which involves lots of jumping and clapping. She likes to watch Angelina Ballerina, so we have taught her a couple ballet moves. If you ask her to plié, she has a decent one. With our music-loving little one, the speed of life is definitely allegro! 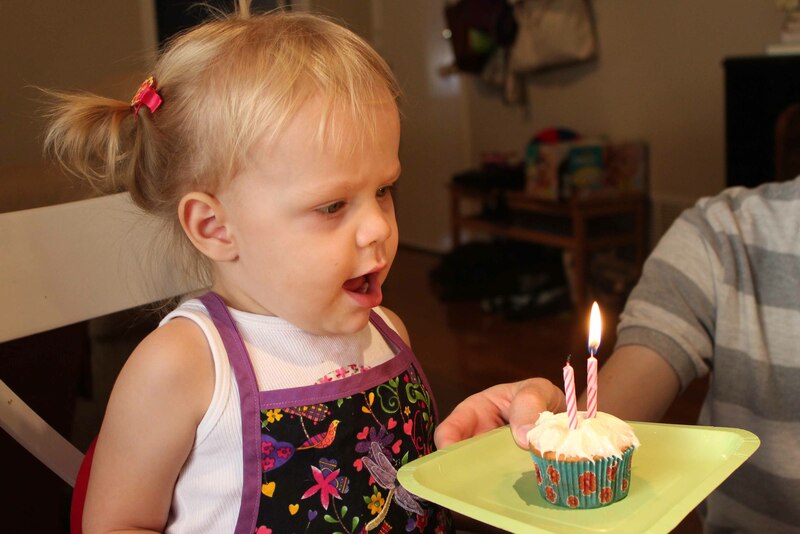 Hannah is two! Planning a party this year was much different than last year. One-year-olds just like to eat and play, so last year they were thoroughly entertained by lunch and balloons. This year, I sprang for a theme. 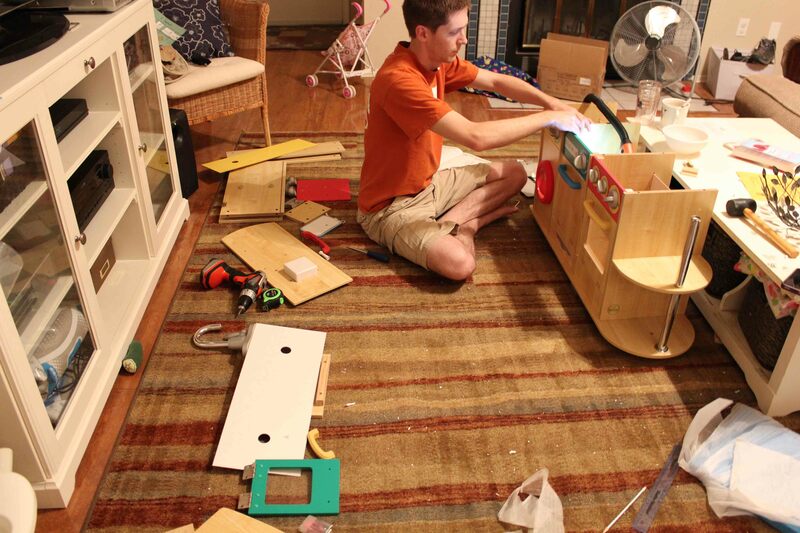 Since we were planning to get Hannah a play kitchen, I decided to work it into a cooking themed-party. Some of our invited guests were sidelined at the last minute with sickness in the family, so Hannah’s buddy Cody ended up being the only kid guest for the official party. My sister Kristen flew in from Kansas, and my sister-in-law Melody drove down from Dallas. Awesome aunts! 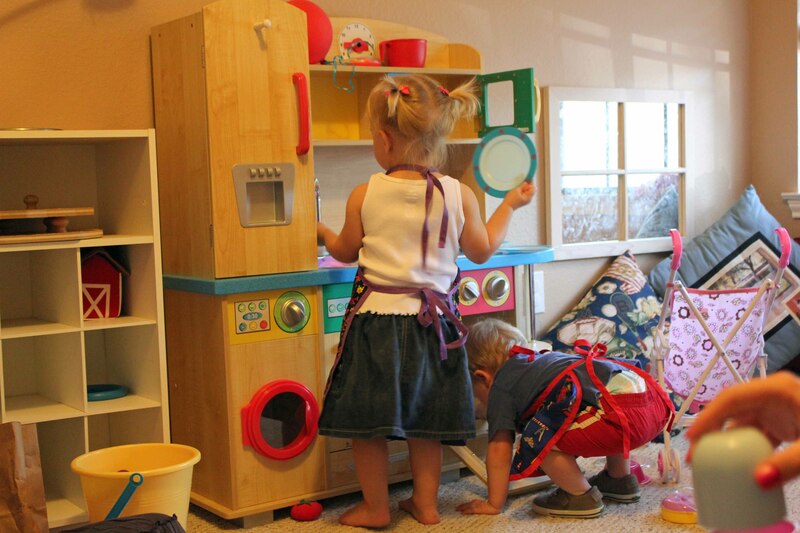 To start the party, the kids put on their aprons. My mom sewed little aprons for them, and they are really cute. Cody and Hannah wore them the whole time. Kids usually open presents at the end of parties, but I knew there were some gifts with items for the play kitchen, so we opened presents first. 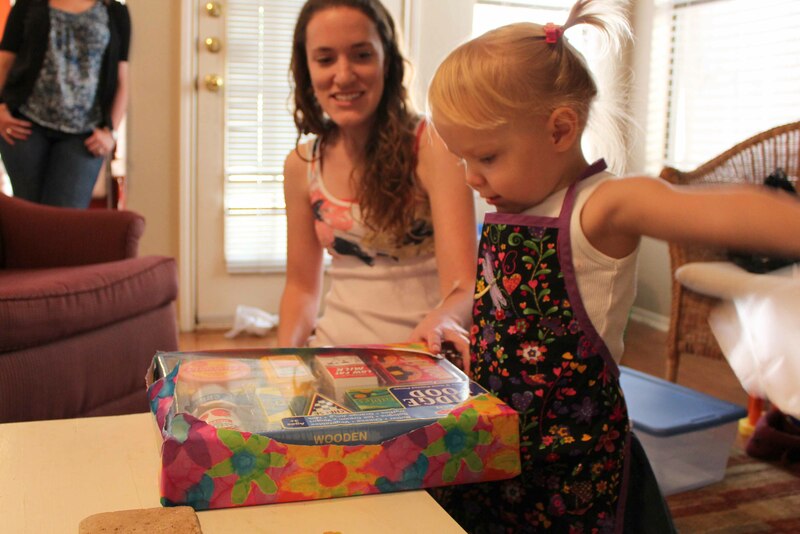 With the great new cooking toys, Hannah and Cody headed off to check out the new kitchen. It was a hit! 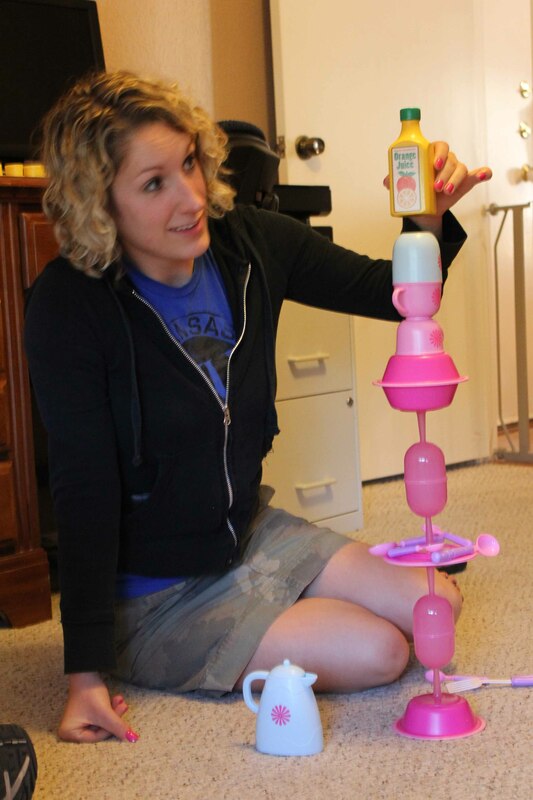 Kristen also entertained herself with the play dishes by making towers, but Hannah tended to interfere. Time for real cooking – pizza! I had pre-made crusts, and everyone made their own pizzas. 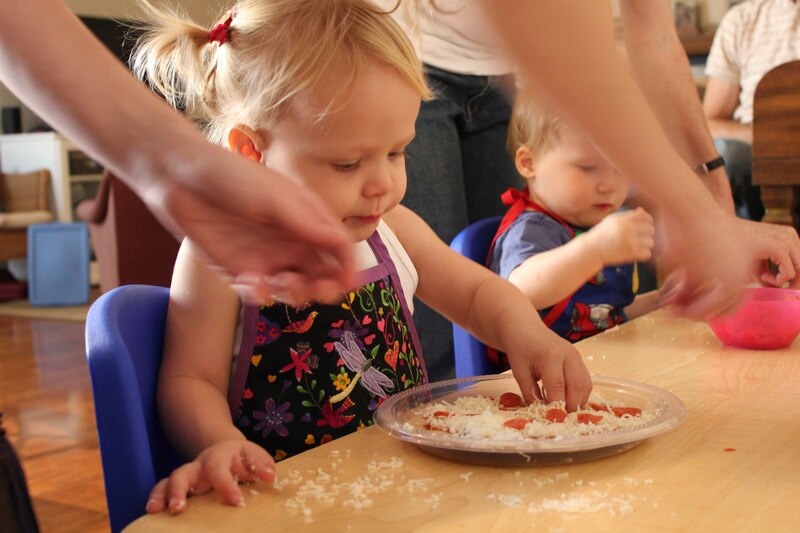 It was fun and easy, though the kids didn’t really understand that we were going to bake the pizzas and tried to eat the toppings a little early. I forgot to get a photo of all the finished pizzas, but they were yummy. While the pizzas were baking, the kids played in a sensory table I’d set up with dried beans and cooking utensils. This was an activity we’d used frequently when I was teaching preschool. It got a little crazy with toddlers. There were a lot of beans on the floor. To finish the evening, we decorated cupcakes. It was a really fun party, and I am so thankful for the friends and family who could come celebrate with us. We are planning a Party Part Two for our friends who had to miss, so stay tuned for extended birthday fun. For Hannah’s birthday, we got a her a little kitchen. Every little kid needs one! 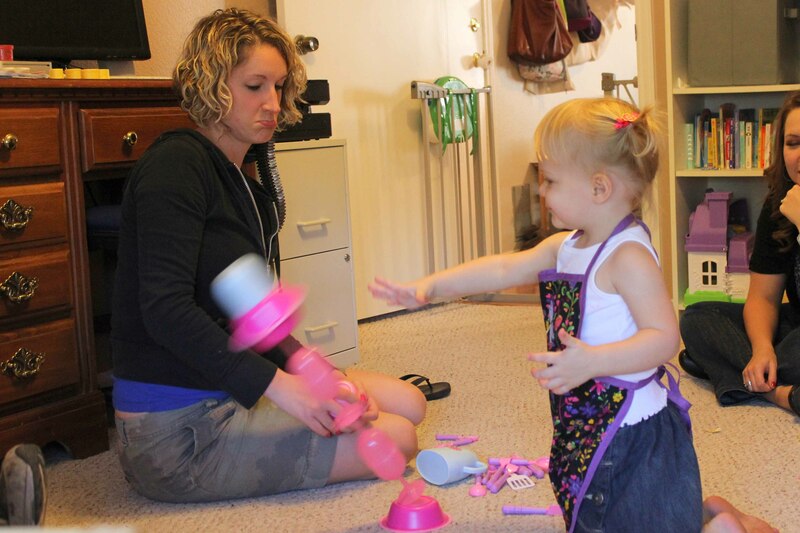 We couldn’t wait to see her cooking up a storm in the playroom. 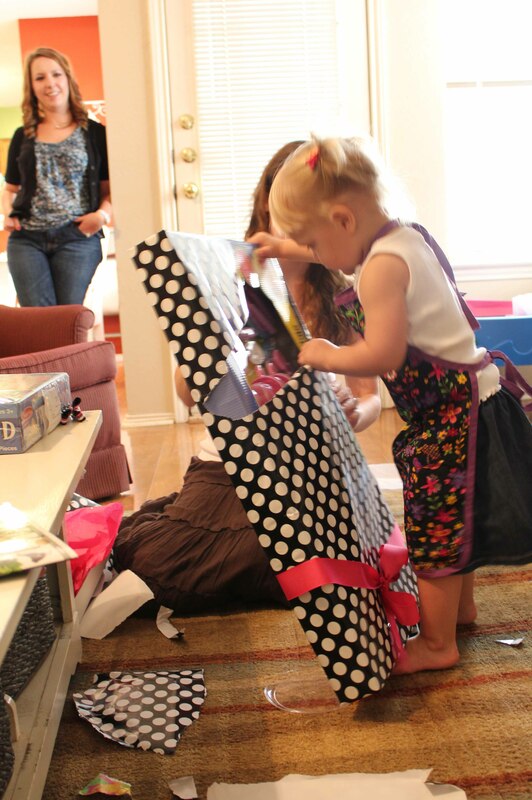 However, there was some serious work between the box arriving on our doorstep and the birthday girl having fun. From reading the online reviews, I knew assembly involved around 50 pieces, hundreds of screws and roughly two hours. 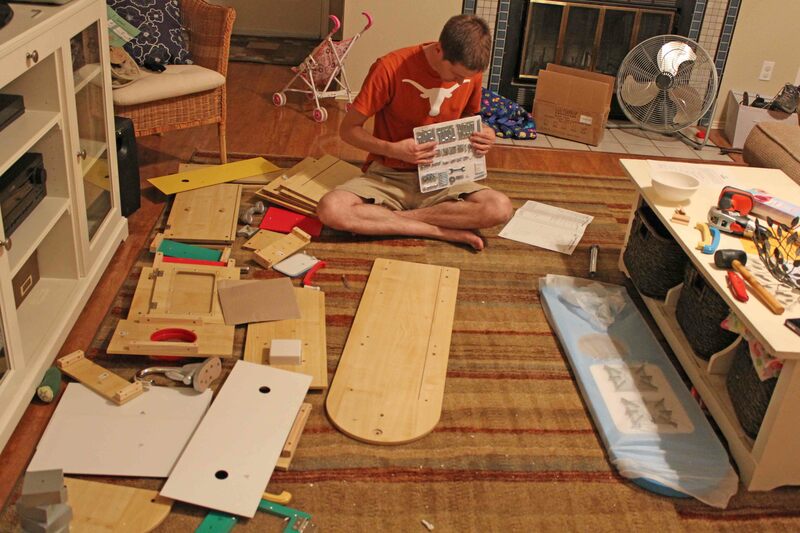 We have put together several IKEA items, but this was our most complicated assemblage yet. At the two hour mark, we had the bottom done. The finished product took us almost 3 1/2 hours. We had a slight hang-up with some screw holes that were pre-drilled on the wrong side of the oven door, but in general I’m not sure what took us so long. Oh well, it’s done, and it’s really cute! Finished pictures coming. 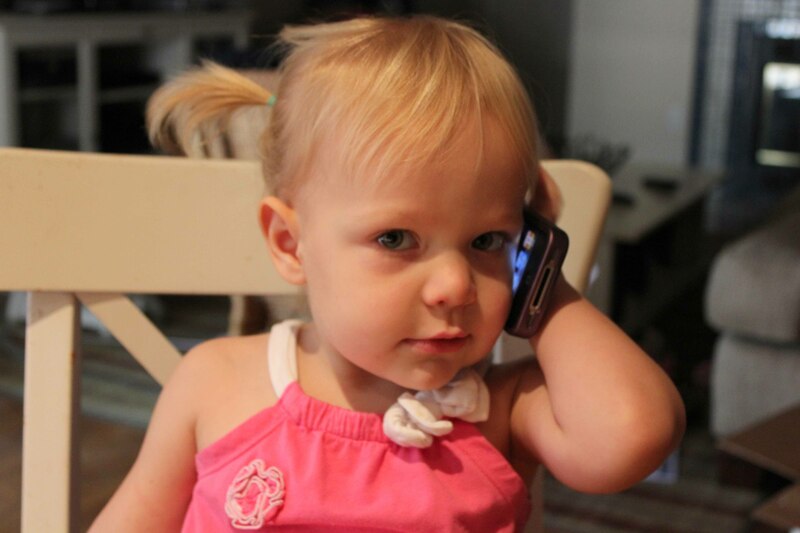 She did not specify which grandpa she was calling, but “Papa” is her usual answer regarding her phone conversations. The Jesus part was a new addition – maybe a conference call with Grandpa? My siblings and I still have the joke that the answer to any question at church is either “Jesus” or “the Bible,” so maybe Hannah is learning this one early. Toddler linguistics can be something of a game. Hannah is quite verbal for her age which is nice, but we frequently play Guess the Word, “Walk? Look? Work?” She has a very large vocabulary and loves to identify everything possible. Actual conversations are almost happening. Answering questions is still tricky. Her answer for any “where” question is “Right there.” – “Where is the blanket?” “Right there.” “Where is your cup?” “Right there.” “Where is Daddy?” “Right there.” It doesn’t matter where the object or person actually is, there is the same answer. Later today she had an awkward climb off a chair and said, “Owie.” I asked, “Where does it hurt?” She said, “Hurts bottom.” Another real answer! Now if only we can get her to stop adding “too” to everything and convince her that saying “poopy poopy poopy” loudly through the library may not be appropriate. I’ve been pondering canning. It seems like the ultimate homemaker activity, even above baking bread. Of course, to make the most sense of canning, this accomplished homemaker would ideally have also mastered gardening and would commence canning to preserve her backyard bounty. I have no backyard bounty. I don’t even have grass in my backyard. It’s not really my fault; it has only rained one day in the last four months. But I digress. After reading about the actual process of canning, I was concerned that any activity with lots of peelers, knives and huge pots of boiling water might not be good with a toddler around. Then, a couple articles mentioned “freezer canning.” Hey, I have a freezer! But I don’t have anything to actually can. 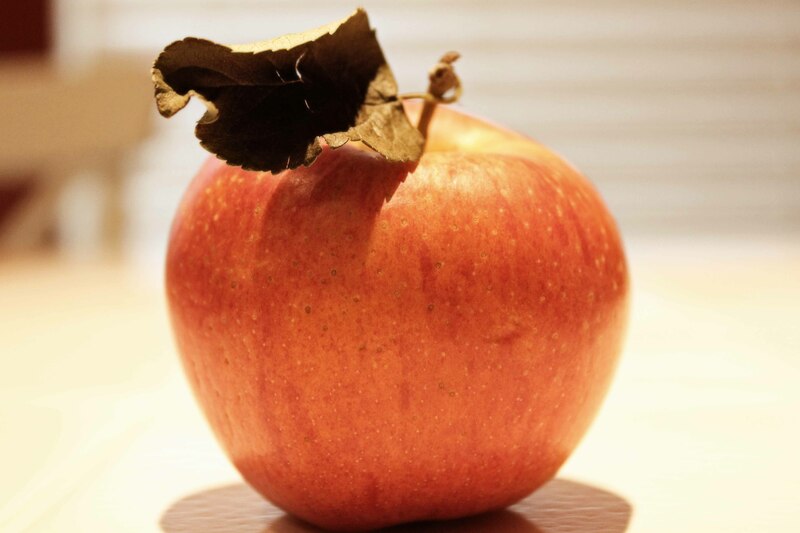 A helpful article suggested analyzing what your family eats the most of and starting there. For us, that would be applesauce and tomato sauce. The former sounded less messy. At the farmer’s market, we stopped at a local orchard’s stand and picked up about 5 lbs. of their “special” apples for only $5. 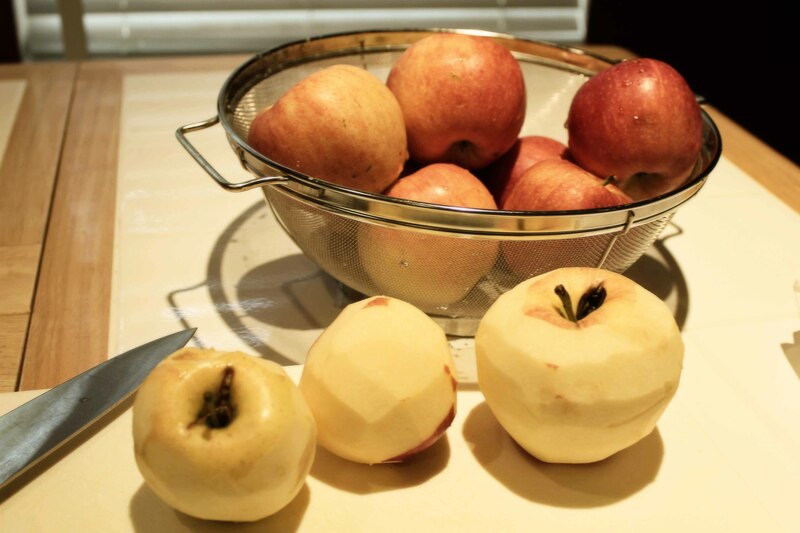 The ones that are 95% perfect-looking, 100% perfect for applesauce. Just look at the photo above, gorgeous! While Hannah was at school, I tackled the peeling and chopping. It was tedious but didn’t take too long. 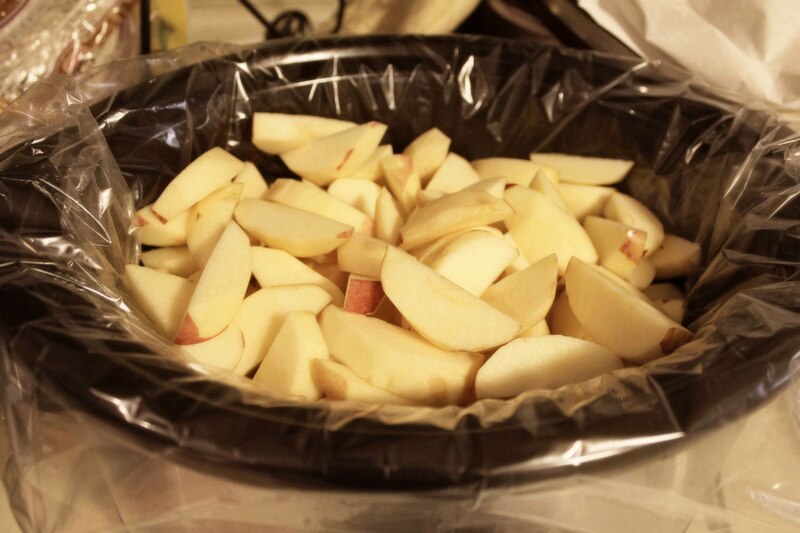 The sliced apples filled my slow cooker about 3/4’s full. 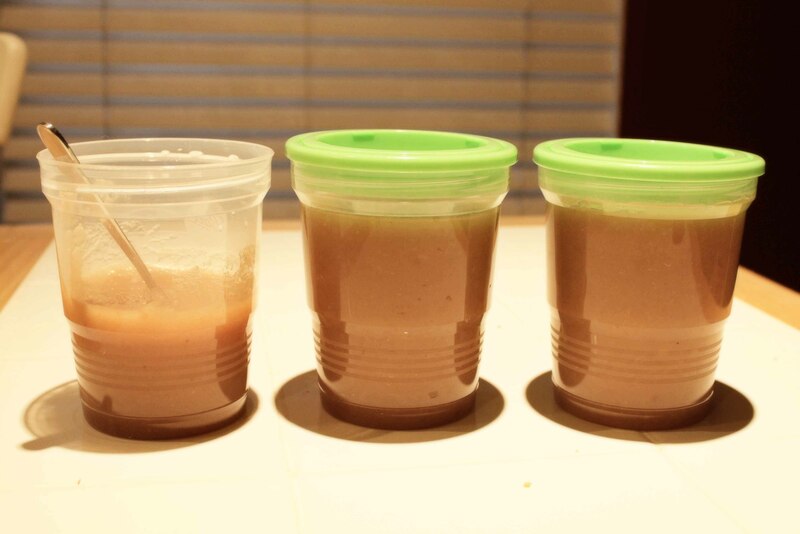 I added a small amount of apple juice as cooking liquid and a sprinkle of cinnamon (after taking the picture). After 5 hours on low, I let it cool then used the immersion blender to get a consistent texture. A couple days ago, I found these official “freezer canning jars” and decided to give them a try. They were a good price, are BPA-free and have twisty lids. According to my calculations, even though I got a great deal on the locally-grown, low spray apples, buying organic applesauce is still cheaper. But this tastes way better. Tough call there. Do you have any canning experiences to share? Should I attempt the boiling vats and glass jars? I recently read the autobiography of a missionary to Morocco. 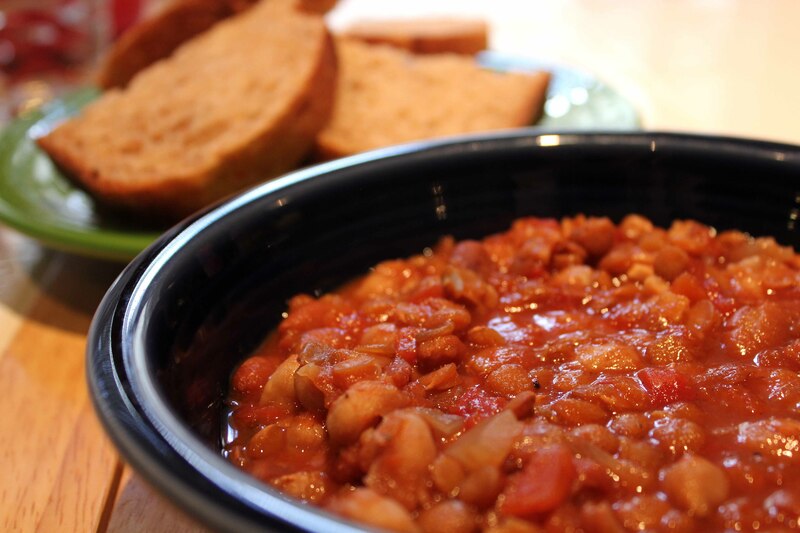 One food item kept appearing over and over – lentils. So, to get a more authentic experience after reading the book, I found a recipe for Moroccan Lentil Soup. I chose this one because it had easy ingredients and utilizes my favorite appliance, my slow-cooker. The originator of the recipe wrote of her difficulty actually finding lentils in the grocery store. I will brag a little that I am no stranger to lentils and know exactly where to find them; for this recipe I hit up the bulk bins. The smell was tantalizing us all day, very fall-ish with all the spices. And it tasted great! 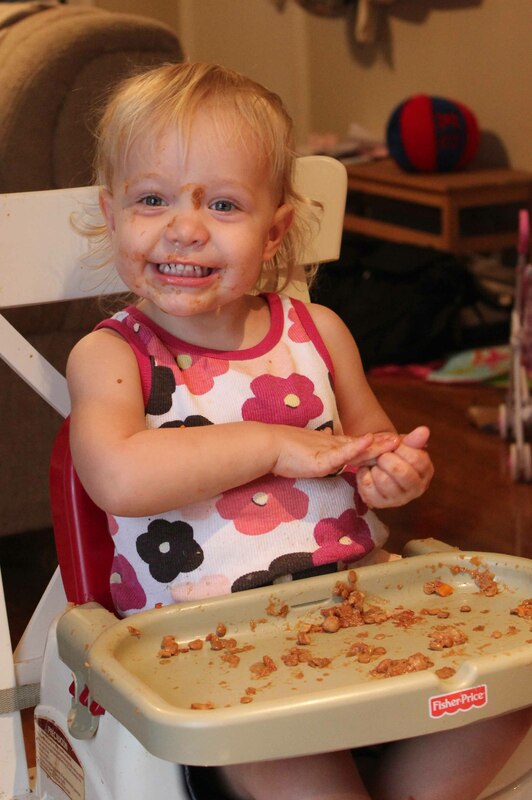 Hannah prefers her food ingredients to be separated, but even she ate quite a bit. She really liked the carrots; I should have put more in. The bread is a whole wheat sourdough we picked up at the farmer’s market. The soup recipe makes a lot, so we have nice big bowl-fulls and more for freezing. Yum!